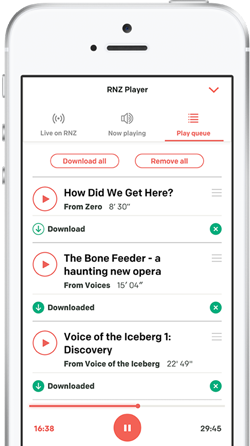 TVNZ has removed a documentary that claims Celts settled New Zealand thousands of years before the arrival of Māori from its on demand service following a query from RNZ's Mediawatch. The two-part documentary, New Zealand: Skeletons in the Cupboard, claims, among other things, that the Polynesian demi-god Maui was a real-life explorer who not only discovered New Zealand but claimed much of South America for Egypt; that Australian aboriginals arrived in New Zealand tens of thousands of years before Māori, that seven foot tall, red-headed Celts built complex astrological stone monuments, and that pale-skinned fairy-like people taught Māori how to weave fishing nets. 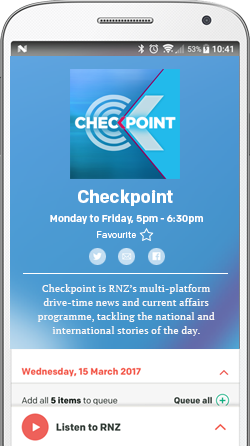 Mediawatch contacted TVNZ following a tweet from a concerned viewer. The tweet - which TVNZ didn't respond to -asked why the network was featuring pseudoscience in the 'documentary and factual' section of its on demand service. On Thursday TVNZ told Mediawatch: "We’ve taken another look at Skeletons in the Cupboard. We accept that we should have taken more care in how we signposted this series to our viewers. On reflection, we don’t think it’s robust enough to stay in our factual line-up so we’ve made the decision to remove it from TVNZ OnDemand." TVNZ said the two-part documentary was viewed about 4000 times in the two weeks it was available on its on demand service. The documentary has been viewed hundreds of thousands of times on Youtube. Skeletons in the Cupboard draws heavily on the work of the self-described astro-archeologist Martin Doutre - author of Ancient Celtic New Zealand - and the late Noel Hilliam an amateur historian who also promoted the idea of a pre-Māori Celtic people living in New Zealand. In the documentary Hilliam claims a British pathologist carbon-dated the remains of skeletons found in Northland and found them to be 3500 years old and of Welsh origin. Last year the New Zealand Press Council (since renamed the NZ Media Council) upheld a complaint after the Northern Advocate splashed the same story across its front page. The council decision said: "The paper failed to check with the unnamed experts Mr Hilliam cited or any other credible historic or forensic experts to test whether his claims could be valid. The story should not have been published without rudimentary checks." Other journalists did try and verify the existence of the British pathologist without success - with the University of Edinburgh, where Hilliam claimed the pathologist worked, denying any knowledge of him. The Cairns-based director and researcher of Skeletons in the Cupboard Peter Marsh told Mediawatch there was a good reason journalists couldn't find any evidence of the pathologist's existence..
"You have to realise that Noel was covering for that guy. He didn’t want to implicate him because the New Zealand authorities were out for blood. They wanted to arrest somebody for taking a tooth back to England." Peter Marsh said he was aware of claims that the Celtic New Zealand theory had been promoted by people with an interest in undermining the Māori claim to tangata whenua status but that he did not in anyway support those agendas. The documentary also claims that a digger driver uncovered numerous skulls north of Auckland but was told by Auckland Museum to just ignore them because the local iwi wasn't interested in anything that pre-dated its arrival. Peter Marsh said he made no effort to verify the story with the museum. "We know they wouldn't have admitted it even if they did. A reputable museum like that, they're not going to admit something shonky going on. What's the point?" Barry Fell was recognised for his research into star fish and sea urchins but his work on the origins of the Polynesians isn’t taken seriously by experts. New Zealand: Skeletons in the Cupboard does favourably quote two academics with expertise in New Zealand’s pre-history: Professor Richard Holdaway and Professor Lisa Matisoo-Smith. Both have done work that suggests rats may have arrived here earlier than first settlement – and that almost certainly arrived with people. On the face of it their findings could give credence to the idea of pre-Māori settlement in New Zealand. Neither of them were interviewed in the documentaries and both are scathing of the ideas being promoted in them. Lisa Matisoo Smith told Mediawatch the documentaries had misused her data. "I have communicated with these people and have pointed out the errors in their interpretations but they do not want to hear the truth." She said it wasn't a good look for TVNZ to feature it on its website. "It is a piece of fiction and misuse of real data. But sadly, conspiracy theories attract viewers." And Professor Holdaway described the documentaries as total rubbish. He said his research, which can be found on open source online journals, suggests that people, probably of the Lapita culture, visited New Zealand a few hundred years before the beginning of settlement. "But there’s absolutely no evidence of people settling here before the arrival Polynesians around 650 years ago." When asked about the criticisms Peter Marsh said the scientists were scared for their jobs. "They don't want their superiors cutting their funding." And how does he respond to the suggestion that he's a peddler of conspiracy theories? "Well the term 'conspiracy theory' was, I think, coined by the CIA during operation mocking bird after the JFK assassination."